St. John Ambulance knows, many people can benefit physically and emotionally from regular contact with the unconditional love of a dog. St. John Ambulance’s Therapy Dog Program takes a volunteer and their dog into hospitals, seniors' residences or nursing homes on a regular basis. Through petting, affection, and regular visitation, many people benefit both physically and emotionally from the unconditional love of a dog. 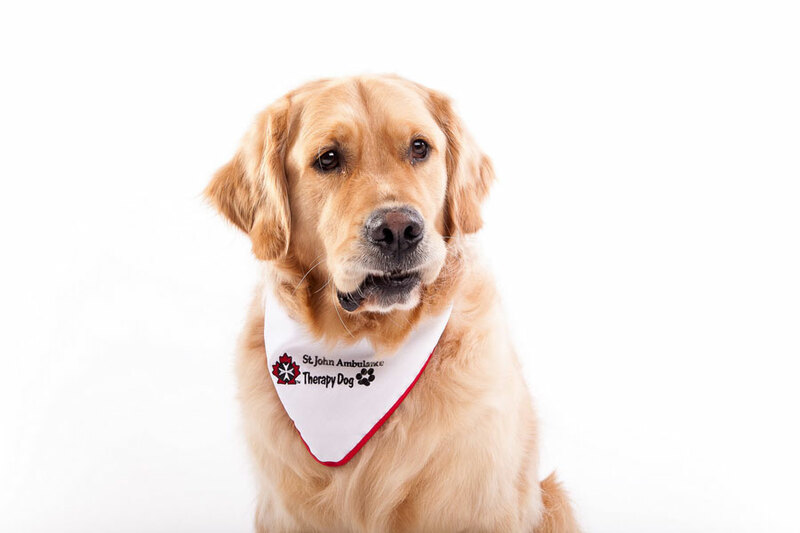 If you are looking for a unique and rewarding volunteering experience for you and your pet, the St. John Ambulance Therapy Dog Program may be right for you! Please Contact the Therapy Dog Program Coordinator directly, via phone or e-mail, for an Information/Application Package.